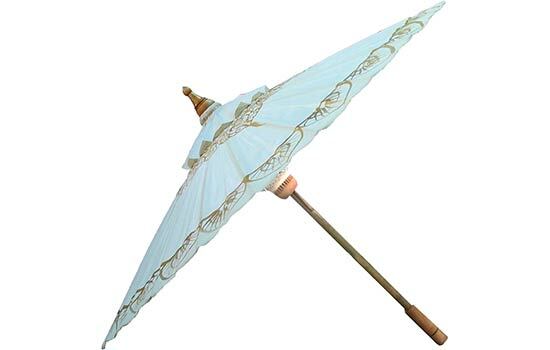 We carry one of the largest selections of decorative umbrellas on the internet. 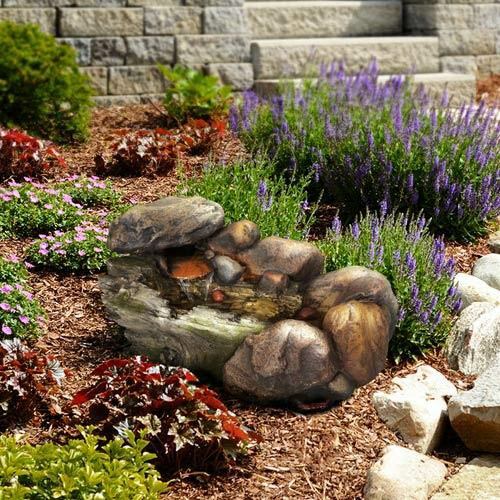 All of our colorful and attractive decorative umbrellas containoriginal designs, are made of all-natural materials and are available in two sizes. 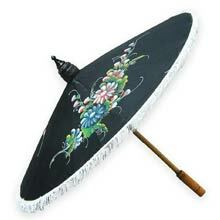 Our skilled craftsmen paint each umbrella by hand to bring anauthentic Oriental touch into your home. 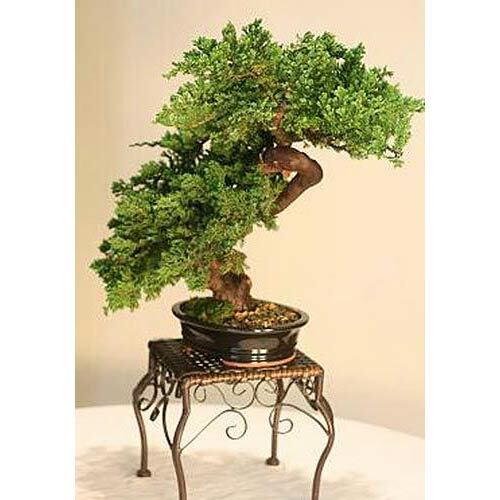 Decorative umbrellas can becarried as a fashion accessory, placed attractively in any room, hung ascreative lampshades, or just propped attractively in a corner. 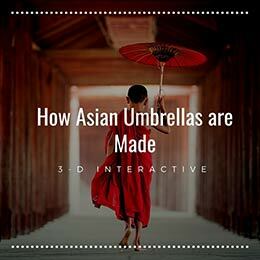 All of our colored fashion umbrellas were inspired by the long tradition of Oriental umbrellas that date back over two thousand years in China. 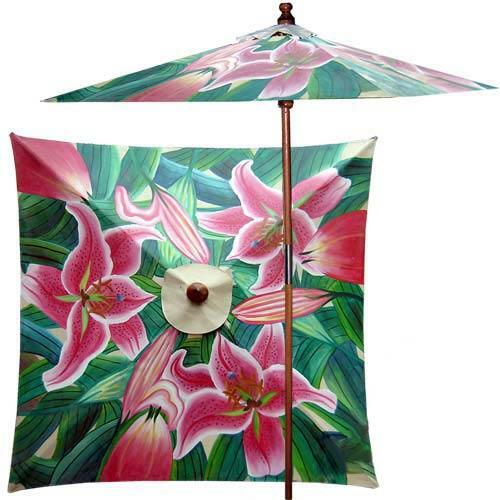 Each of our fashion umbrellas is handcrafted and hand-painted, distinguishing each piece as a unique work of art. Place them as decoration in your home or use them for protection from the sun; some of our fashion umbrellas can be used in the rain as well. We're proud to have put together a vast selection of stunning paper umbrellas handcrafted in China. 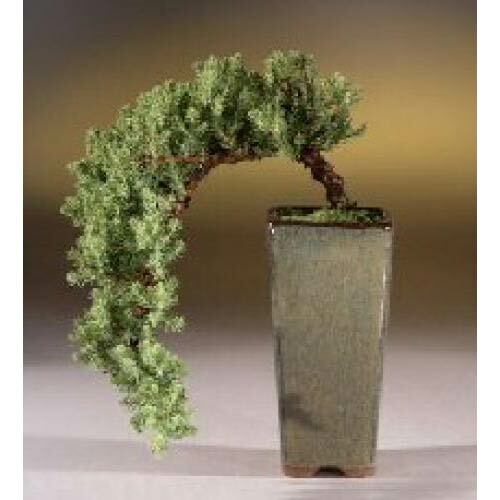 They are a wonderful choice for a unique, interesting and inexpensive gift. 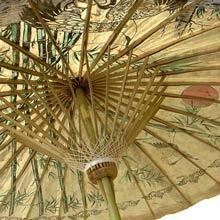 These beautiful umbrellas are very common fashion accessory in modern day China where women are especially concerned about shading their skin from the harsh sun. Note that the paper parasols in this category are generally not waterproof. We have dozens of colors and designs to choose from, and our hand-picked inventory is always changing, so check back with us often! 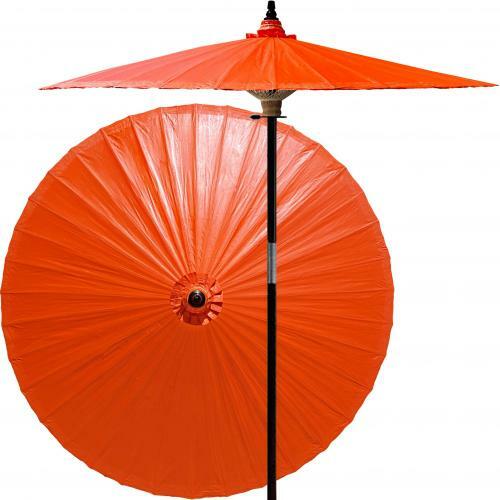 Our parasols, or sun umbrellas, are a great way to decorate a home or provide shade from the sun. 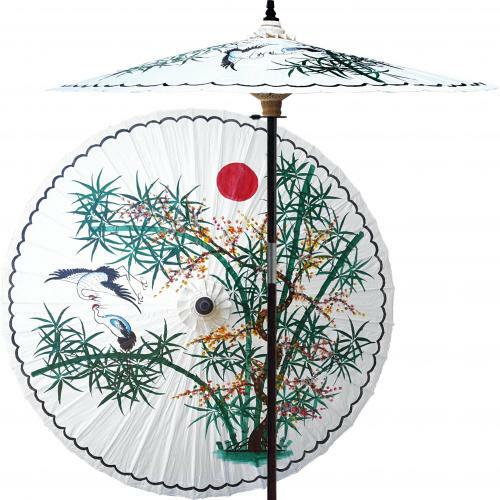 Colorful, fun and cool, these Asian parasols all contain beautiful hand-painted floral designs on a durable nylon shade. White tassels border the shade of these awesome sun umbrellas, giving them a truly Oriental decorative look. 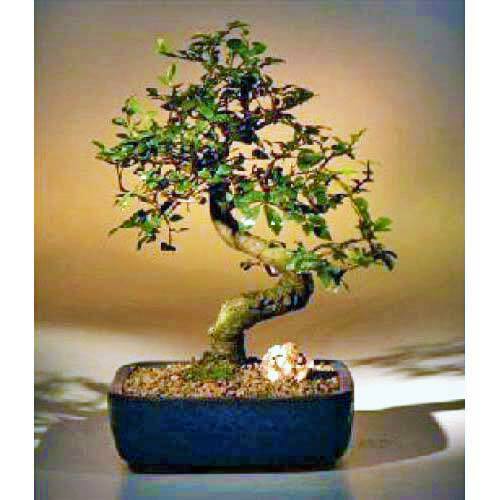 In Asian culture, every color has a meaning associated it. 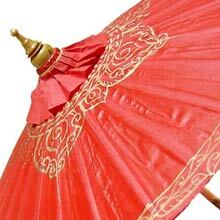 We have named each of our Asian parasols with its corresponding color meaning. View our entire selection of sun umbrellas, available in two sizes, to check out your favorite colors. 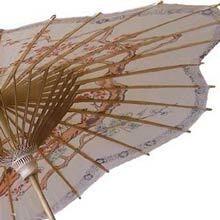 Our Oriental Umbrellas are made from Saa paper with beautiful prints of Chinese designs on their shades. 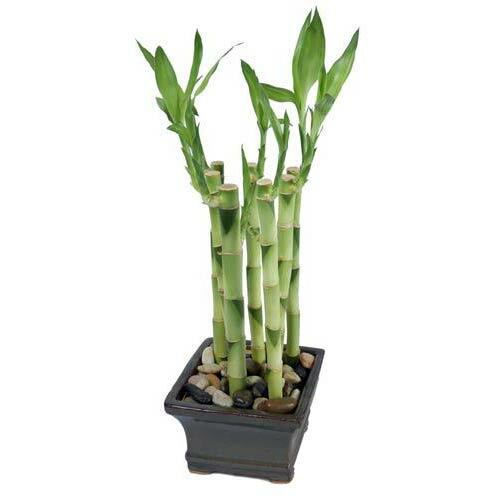 They can be placed anywhere for great Oriental decoration or used outdoors for protection against the sun. Each Oriental umbrella is lovingly handcrafted by a master artisan and reflective of the work and dedication put into them. Makes a great gift as well.